It’s a fight to wear the magical red hat. The only original function of the hat was to hide an elderly man’s hair that is running low on spray. There are three candidates fighting for the Republican nomination for U.S. Senate in Indiana. Two of them are current members of the U.S. House, Todd Rokita and Luke Messer. Both have conservative voting records. They argue some about it, as their records are not identical, but differentiating them would be about as easy as choosing between two houseflies. They were both conservatives before Donald Trump. Oh, and Trump is not conservative. The third candidate is a former member of the Indiana House of Representatives, Mike Braun. He is also conservative, though voting records cannot be compared, and there’s no reason to do so. He is every bit as conservative as the other two. If a Republican primary voter is voting for the “conservative” on May 8, any of them will do. But that’s not what this campaign is about. It is about who is more likely to support the “Trump Agenda.” This is a game that is superbly strange to watch since there really is no way to mimic a president who can’t stay the course. On anything. Is the Trump Agenda for or against the Trans-Pacific Partnership? Does the Trump Agenda want American troops out of Syria, or does it want Bashar al-Assad’s regime removed? Is the Trump Agenda pro-tariff, and therefore no longer all that conservative? It’s tough to fight to be the most Trumpian when being that changes day to day. These three Indiana Senate candidates had political brands of their own before November of 2016. None of those brands matched up with the president’s. At least not at the time. Messer, unlike Rokita, was a riser in House leadership and has been a player in the Republican National Committee. The RNC was less than excited about the Trump nomination in 2016. It is easy to lump Messer in with the lukewarm reception the national party gave a candidate most thought would have a difficult time winning in the general election. See what I did there? Braun has a history of voting in Democrat primaries. In summary, none of these guys were Trumpers. They are sadly trying to become that. Watching it has been a little like watching three sophomores desperately trying to get into the “cool crowd,” when that crowd is flunking out of high school. They all want to “drain the swamp,” “fix the broken Senate,” or “defeat the elite.” But both of the U.S. House members are clearly members of both the swamp and the elite. The Senate is not broken, and even if it were, freshmen members won’t be fixing it. There is no “Trump Agenda.” There is Trump, and three Indiana guys trying to get elected to the Senate. Because of Trump and the embarrassing manner politicians have tried to corner his voters all across the country, campaigns like this have become all about nothing. Republican primary voters can’t legitimately see a difference in these three, based only on their pitches. Having said all of that, Mike Braun is doing an excellent job of differentiating his personal background from the other two. His TV commercials are top notch at making Rokita and Messer look like different sides of the same coin. He has established himself as a business person first, and a politician second. That is based solely on the shorter amount of time he has been in the game. Because of this, he is really the only choice Republicans have. I guess. But what happens if Trump is not reelected either by losing or by choosing not to run in 2020? In that scenario, being either pro or anti-Trump won’t mean much during the last four years of the winner’s six year term. What should Indiana expect of any of these three if that happens? That is a fantastic mystery. To some extent, all three of these candidates have betrayed their pasts. If one of them wins in the fall, that betrayal will happen again. The exhaustive attempt to brand themselves as the most like Trump leaves a rational voter with nothing meaningful to support. The Trump of Saturday this week, was very different than the Trump of Wednesday. Ultimately, I don’t believe the strategy will work on November 6 for whoever wins this thing on May 8. 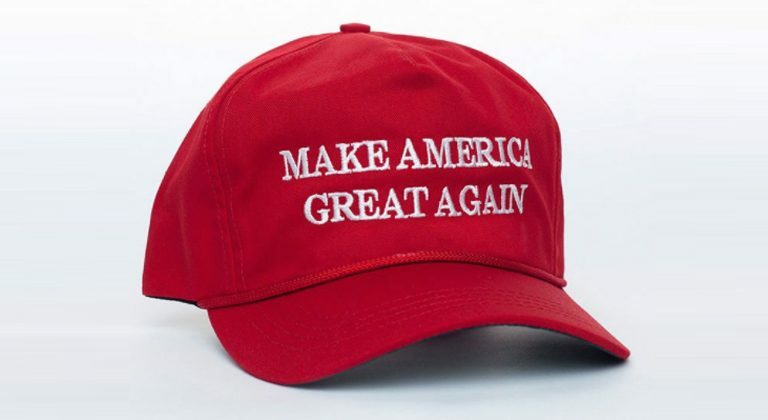 After all, it’s an ugly red hat. These three don’t have hairdos Trumpish enough to need to wear it anyway. So, here’s an idea: don’t.